Like all Ascentes, its geometric precision distributes pressure evenly across panels and around the ball for a consistent, accurate and powerful strike no matter where you kick it; it's also perfectly spherical for true flight. 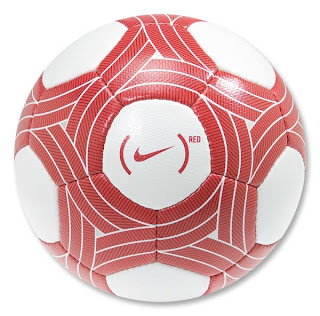 But most importantly, this limited edition soccer ball was developed to support the (RED) Campaign. 100% of proceeds from this special ball will go directly to the Global Fund - fighting AIDS worldwide.